Listen to an excerpt from “Mindfulness of Breathing,” a guided meditation by Jon Kabat-Zinn. Sorry you need the latest version of the free flash plug in. CLICK HERE to download it and then refresh this page. CONGRESSMAN TIM RYAN (D-Ohio): You hear athletes talk a lot about being in the zone. What does that mean? Does anyone know what that means? 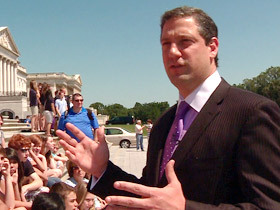 LUCKY SEVERSON: Ohio Democrat Congressman Tim Ryan, talking with kids on Capitol Hill about his favorite subject: mindfulness, what he sees as the result of meditation. Not a typical Washington fixation. Ryan believes everyone would benefit from the practice—individually, in Congress, and as a country. He says it’s what he needed. SEVERSON: Congressman Ryan has written a book called A Mindful Nation and now with the conviction of a missionary, he’s peddling its message to anyone who will listen. CONGRESSMAN RYAN: By being in the present moment, by taking that deep breath like you’re shooting a foul shot, then you can approach your life in a way that you actually have control of what you’re doing. SEVERSON: Ryan meditates daily before he comes to work. He says it’s a matter of sitting quietly and focusing on that very moment. CONGRESSMAN RYAN: I find that starting the day with a little bit of quiet time changes the whole complexion of the rest of the day. It’s almost like warming up before you go into an athletic event. But the key is that you can do it anywhere. SEVERSON: He thinks it’s a practice needed now more than ever. Look around, he says, at the hectic and chaotic world we live in. CONGRESSMAN RYAN: I think everyone’s right there on the edge looking for something to help them deal with 24-hour news, information overload, texts, emails, always on the job. People are looking for something to help them deal with that. SEVERSON: Congressman Ryan says contrary to what some believe, it’s not necessary to be a Buddhist to meditate. He’s a lifelong Catholic. CONGRESSMAN RYAN: I think mindfulness, by grounding you in the present moment, can actually enrich whatever religion you participate in. You don’t have to believe anything. You don’t have to accept certain precepts or principles. You just basically need to practice being in the present moment, and then you can take that to whatever religion you practice. JON KABAT-ZINN (Speaking at Omega Institute, Rhinebeck, NY): There’s not separation between life and meditation practice, and when the meditation and life become the same thing, in a sense, we light up and become more alive. SEVERSON: Congressman Ryan says it was a retreat like this that “rocked his world.” Those are his words. A retreat at the Omega Institute in upstate New York, where people come from all over the world to hear Jon Kabat-Zinn teach on mindfulness. He’s an MIT-trained molecular biologist who founded the Stress Reduction Clinic at the University of Massachusetts Medical Center 33 years ago. He says there’s nothing complicated about the practice of meditation or mindfulness. JON KABAT-ZINN: The way I define it is the awareness that arises from paying attention on purpose, in the present moment, non-judgmentally. So in a sense the cultivation of mindfulness is observing how mindless you are almost all the time. Certainly true for me. I mean the mind goes off and then with awareness you bring it back. SEVERSON: This is Darrius Douglas. He started meditating about 10 years ago when he was in the fifth grade. Now he can slide into it almost instantly, even with a camera staring at him. DARRIUS DOUGLAS: It gives you a quiet place inside of yourself whereas though you don’t have to feed and react off of the things that’s going around in the environment around you. SEVERSON: Darrius learned how to meditate in a program started in some public schools in Baltimore by the Holistic Life Foundation 10 years ago. The program was created by brothers Atman and Ali Smith and Andy Gonzalez. ALI SMITH (Holistic Life Foundation): Darrius in the fifth grade, he’s probably one of the toughest kids I’ve ever met in my entire life. He settled everything with his fists and then at some point it just clicked with him where he just decided that he was going to try something else. SEVERSON: Ali and his brother Atman learned meditation from their parents. They thought it along with yoga might do some good in some of West Baltimore’s toughest neighborhoods. 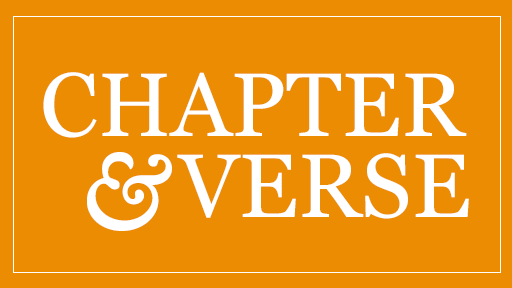 ALI SMITH: We were kind of skeptical ourselves when we first started. I mean, we knew how the yoga and the meditation and stuff were affecting us and we thought it might work with kids. JON KABAT-ZINN: The levels of stress down into the, you know, down into the elementary school are colossal. That fact that the digital age is upon us and the children that are being born now have never experienced analog life and, you know, are almost being born with these electronic devices that are very seductive, very addictive and distracting. 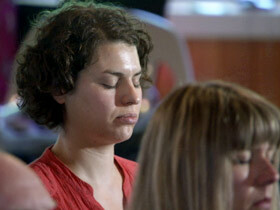 SEVERSON: The principal sends some of the best and some of the most troublesome students to the meditation classes. Taaliyah and Keon, each 10 years old, seem to think the classes at Coleman Middle School have helped them become better students. TAALIYAH EL-AMIN: Because I usually be yelling and stuff, but now I take the yoga class and I don’t yell. SEVERSON: Are you doing better in school? KEON BURNETT: Paying attention, doing my work, not talking, not fussing, not fighting. 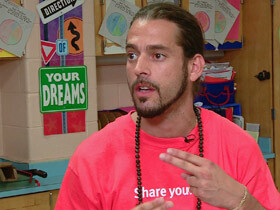 ANDY GONZALEZ (Holistic Life Foundation): I’ll pull two kids apart from fighting and I’ll tell them, put your hand on your heart. And they can feel it beating out of their chest, you know, and I say start taking some deep breaths. You know how to do it. Sometimes it may not work immediately, you know, but they do know the cues now, and so long as keep telling them take your breath, don’t forget, take your breath. SEVERSON: With Congressman Ryan’s encouragement, some public schools in his home state of Ohio have started meditation classes. CONGRESSMAN RYAN: And I see these kids, my God, they have hope. They all of a sudden, boom, have hope, because you’ve taught them the most essential skill they need to live, and that’s to be aware of their own emotional state and to being to cultivate in some way their own ability to pay attention. SEVERSON: If the congressman had written a book on mindfulness, say, 10 years ago, he says there likely wouldn’t have been much interest, but these days he says everyone is doing it. CONGRESSMAN RYAN: The United States Marine Corps is doing it. Google, Proctor and Gamble, General Mills, Target, Phil Jackson the great basketball coach used this technique with the Chicago Bulls. SEVERSON: One reason meditation is becoming more mainstream is because of the reliable and consistent research by people like Jon Kabat-Zinn that show that it works. JON KABAT-ZINN: Even short periods of training and mindfulness can actually change the thickness and the size of certain aspects of the brain that are important for dealing with stress, for working memory, for keeping things in mind that you need to know in order to solve problems. SEVERSON: Congressman Ryan thinks mindful meditation would improve the low level of civility on Capitol Hill. CONGRESSMAN RYAN: You’ll be more aware of what you say and what you don’t say. And that’s the whole thing with the practice is that you begin to respond to things as opposed to react to things. If we responded to problems as opposed to reacting to problems, it would shift the direction of the country. 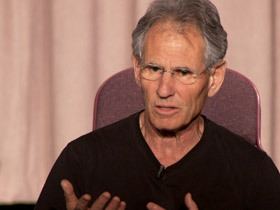 JON KABAT-ZINN: In all Asian languages it’s said that the word for mind and the word for heart is the same word. So if you’re hearing the word mindfulness and you’re not in some way having a kind of simultaneous hearing of it as heartfulness, you’re not actually, really understanding it. So compassion and mindfulness are like two wings of the same bird. ATMAN SMITH: Once you kind of like tap into that inner peace, that inner beauty inside of yourselves, you’re more empathetic. You will want to help everybody out. You will want to, you know, just, just give and not look for anything in return just give because you know it’s the right thing to do and you know, that is what’s missing in this world. SEVERSON: Congressman Ryan says he has been stunned by how many members of Congress, from both sides of the aisle, have told him they need some stress relief, which should come at no surprise to the millions of stressed-out Americans.